Kinderstein was added to the Spassburg section of the park in 1999 as part of a huge ride package. 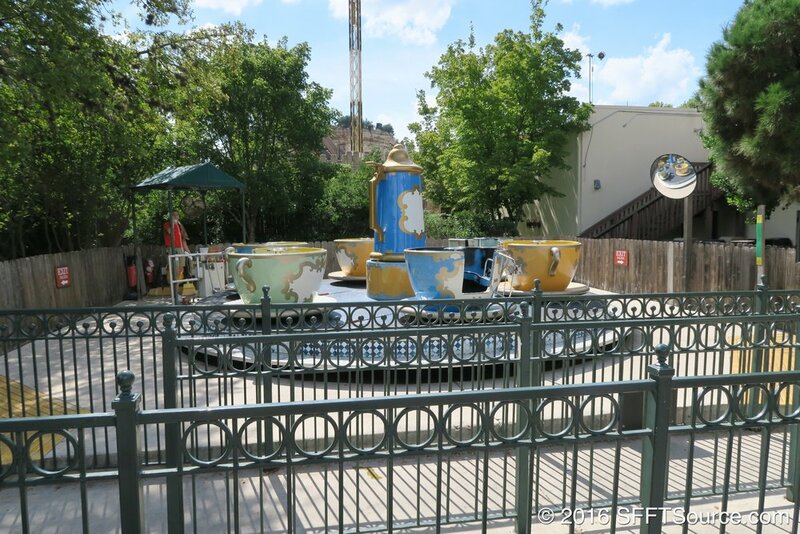 The attraction is great for smaller guests who aren't quite ready to ride a full-sized teacups attraction. The ride does have a 54-inch max height requirement unless you are accompanying a child. Mini Tea Cups is renamed Kinderstein. Kinderstein undergoes refurbishment during the off-season.